Metro Detroit’s water systems are so inadequate that even small amounts of rain force officials to dump sewage into our waterways. 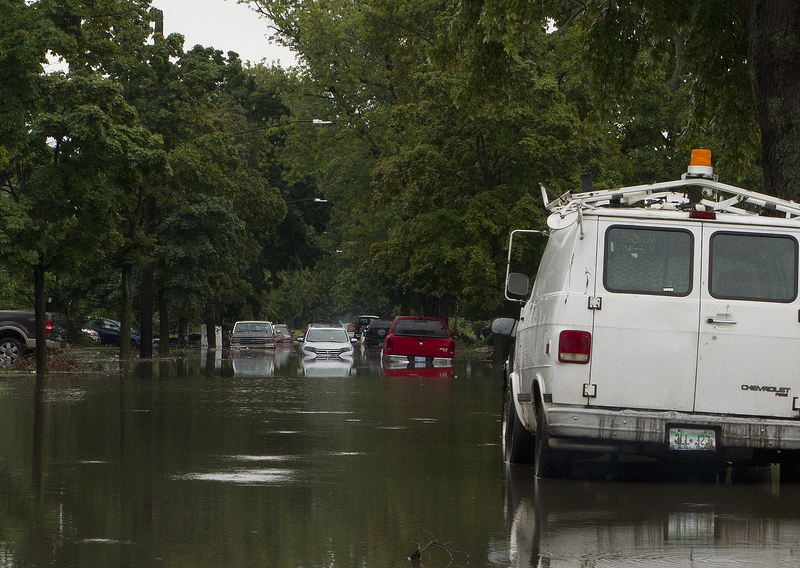 So imagine what happened when 4 inches of rain drenched metro Detroit on Sept. 29. Water officials opened the sewer valves for up to five days because the water had inundated the systems and caused massive flooding. As a result, 5.3 billion gallons of raw and partially treated sewage were dumped into Lake St. Clair and the Detroit, Rouge and Clinton rivers, according to records from the Michigan Department of Environmental Quality. That’s equivalent to 80,300 Olympic-size pools of sewage. Most of the affected waterways were in Detroit, where the Water and Sewerage Department (DWSD) unleashed 3.5 billion gallons of diluted raw and partially treated sewage into the Detroit and Rouge rivers and Conner Creek. In Dearborn, about 264 gallons of diluted raw sewage was dumped into the Rouge River. Nearly 900 million gallons were dumped in Macomb County waterways, compared to about 18 million in Oakland County. So what did officials do to ensure our waterways and drinking water are safe, especially in Detroit, where most of the sewage was dumped? The Detroit Water and Sewerage Department (DWSD) declined to answer, saying officials need more time to respond. Check back for updates when DWSD responds.